He was four years old, traveling with his parents on the Tokaido railway line, peering out of a window. The shimmering waters of the Pacific came into view. That’s his first memory: the light; the horizon; the uninterrupted line stretching beyond the vastness of the ocean. Hiroshi Sugimoto says it was the starting point of his mind, the beginning of consciousness. Returning to that first moment—his personal childhood memory, but also the primordial state when humans began to form self-awareness—would become the driving force behind most of his artistic endeavors. Born and educated in Japan, Sugimoto spent most of his career working from New York— first as an antique dealer, later pursuing photography, but also experimenting with architecture, sculpture, installations and most recently Noh theater and Bunraku puppetry. Today however, approaching 70 and widely regarded as a leading contemporary artist, he feels humanity lacks clear answers as to what art should express. Is that why he decided to return to his spiritual home? 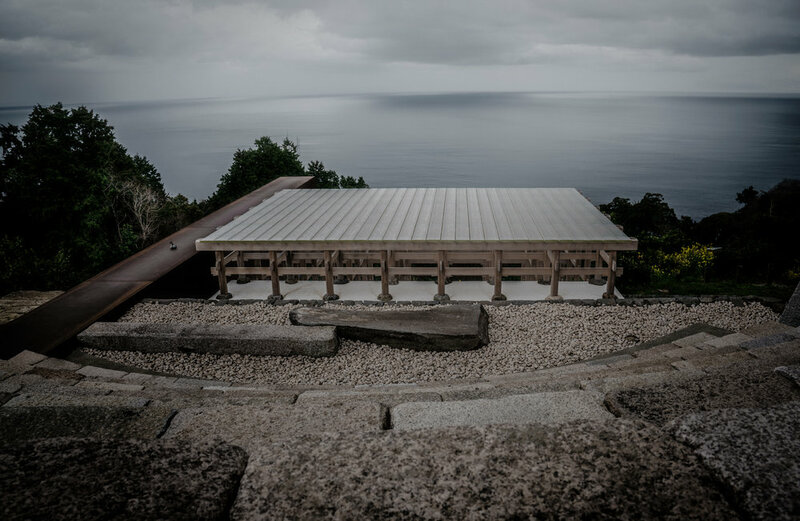 Sugimoto says that in Japan, “culture is [still] rooted in the art of living in harmony with nature”. He believes he was guided there—to a secluded cliff overlooking Sagami Bay near Odawara—by some ”unseen hand.” It’s very close to that coast imprinted in his mind, his first childhood memory. 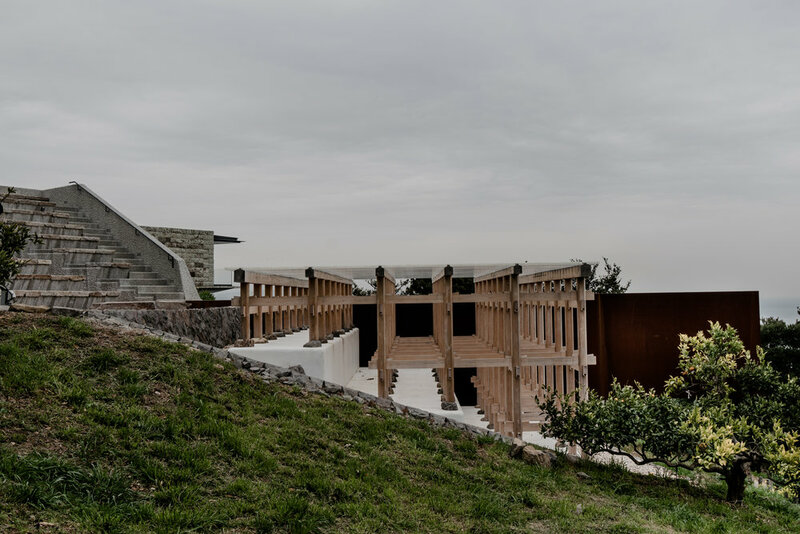 Enoura Observatory, which he took more than a decade to design, is meant to help visitors reconnect with nature the way our ancestors did -- by turning to primal observations of the heavens. The meditative space comprises of Summer Solstice Gallery and Winter Solstice Light Worship Tunnel. 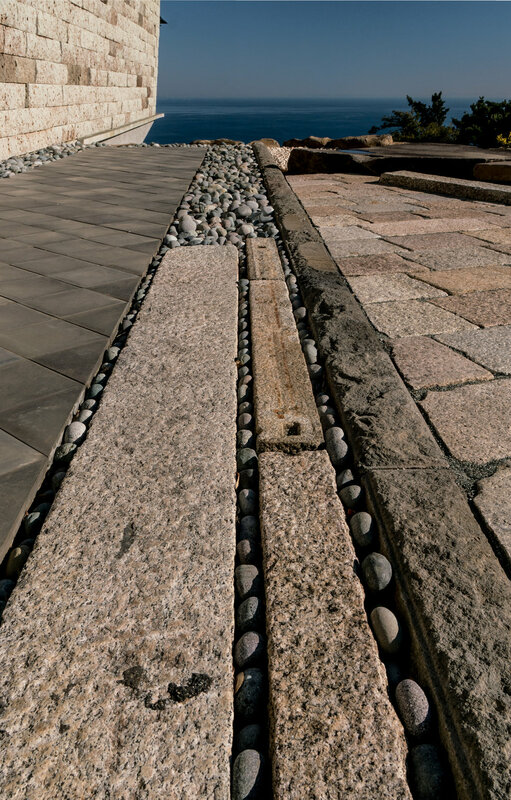 It also has two open air theaters (including an impressive stage built of optical glass, which seems to be floating in the air) and numerous rock gardens. There is also a tea house -- a reconstruction (and re-interpretation) of a famoous tea house designed by Sen no Rikyu - Uchoten (Listen to the Rain), which has been roofed with corrugated metal Sugimoto reclaimed from a nearby barn. 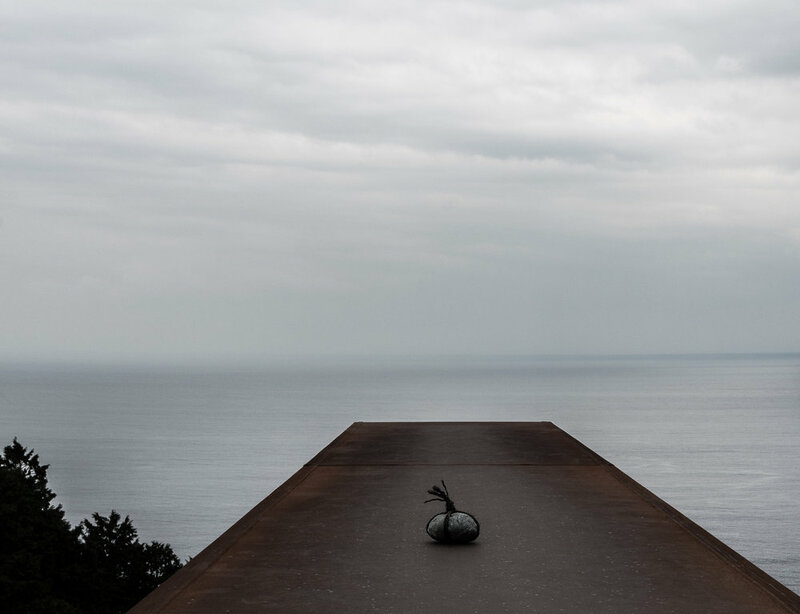 Nestled in an old citrus grove on a cliff overlooking the Ocean, and backed by Hakone Mountains, the whole art complex makes for a perfect day trip from Tokyo. Reservations are required (and should be made well in advance -- only two timed entries per day take place). Photographs taken in December 2017 and March 2018. Quotes by Hiroshi Sugimoto courtesy of Odawara Foundation.